The Golden Orb Spider looks fearsome but is usually quite docile – although if provoked it can respond aggressively. The bite of the spider is not lethal but can leave a small reddish area on the skin as well as some blistering. 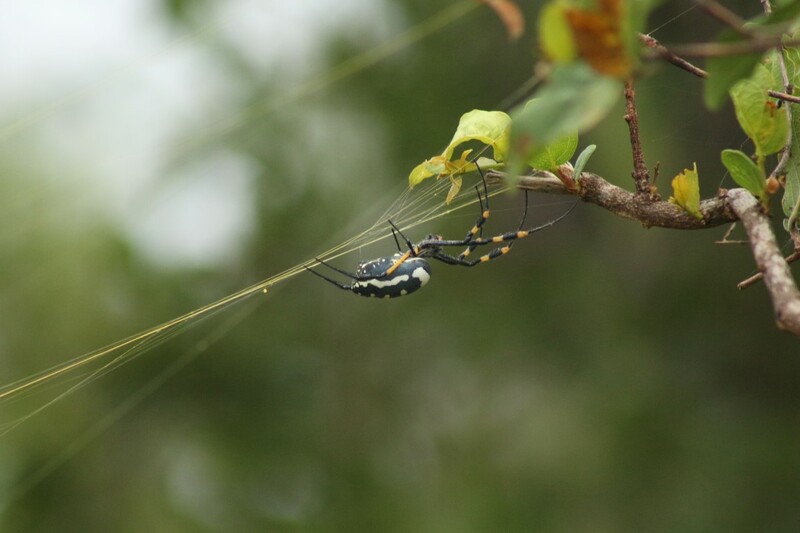 These spiders are easily noticeable by their magnificent large webs – spanning up to 2 metres or more sometimes! 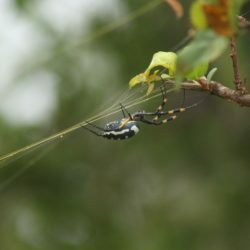 The web is gold in colour and it is said that the spider can control the amount of pigmentation in the web as it is spun. It is thought that the gold colouring is to attract bees, allowing the spiders a nicely-sized meal. It is also believed that the web could have applications in the medical field. Because of its incredible strength it may be possible to use it to repair nerve damage, allowing the nerve to grow along the (web) silk strand once implanted in the body.